Internet technology is playing a prominent role in present day business activities. Many business houses have realized the true potential of internet usage and they have accordingly structured their business operations to get better returns. The necessity to provide your business an online presence is a challenging task. With the aim of staying ahead of competition, many business entities are collaborating with digital marketing agencies to make a distinguished presence among web users. There are few steps a marketing agency follows to design a feasible solution for its client. We, at 5 Star Brand, happily want to share about how we work with our clients. The primary aim of an online marketing company is to make your brand visible to the masses in an impressive manner. In addition, such company also acquires in-depth knowledge of the present business scenario and it tries to learn about any significant changes taking place in the behavioral patterns of the consumers. As Temecula brand marketing specialists, we study the latest trends taking place in an industry and we update ourselves with the Google algorithm changes and mobile web design developments to design a successful solution for taking care of your changing business needs. You are the best person to know about your business goals. This is the only reason a good marketing consultation first takes note on how you operate your business, to discover what are the products or services you offer to your customers and what are your goals. It is also important to know where your customers are located and who, are your competitors. When you are selecting a marketing agency online, ensure that it will provide you with thorough consulting services. Such consultation can be availed in many ways, but the most fruitful is the comprehensive consultation. Through rigorous engagement, the agency creates a customized plan for expanding your presence online and in the same time, it enhances the attractiveness of your brand. We are happy to say that we, as Temecula brand marketing specialists,offer detailed consultation to all our customers. While the customer gets to understand the technology and value of our services, we learn about our client and his business, thus making it possible to carry out technical work at later stages. When you choose a marketing agency online, ensure that they are able to effectively manage the project you decide must be implemented. Your agency must be able to show you the plan, deliver timely status reports, and to scale adequately to meet your needs even if your project grows. In addition to being able to plan and describe what the agency will do, it is critical that they will be crystal clear on what role you will play and what responsibilities you must perform for the project to succeed. For example, in a web design project, you will be required to supply some or all of the content and images and to review and approve several milestone stages in a defined period of time. Abiding by the agreed communication methods, schedules and required actions, will ensure you to get the best result from your campaign. When our online presence optimization expertstake on your project, they will make it clear what both you and we are responsible for and will make sure that we are clear about your marketing. We have years of experience in this business and we design workflows which are efficient and smooth enough to make the most of the time we spend together during each phase from intake to completion. Throughout the project, we will measure and analyze our workflow and processes to insure they meet the changing rules and strategies of the online marketing landscape. No matter what services we run for you, our commitment is to insure the best results possible. 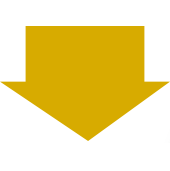 5 Star Brand is especially effective because of the breadth and depth of services we offer. 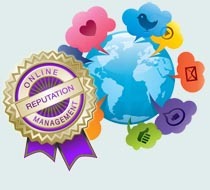 Everything you might want or need to do to grow your online visibility is available from us. 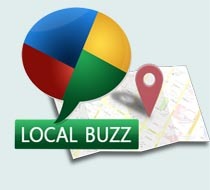 Local buzz – Make your business presence prominent, when a customer searches reviews, listings, check-ins and maps online in your area of operation. This is a new marketing service which focuses on mobile, local and social visibility. 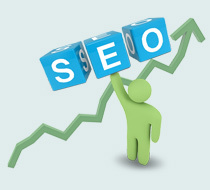 SEO – Having a website is not sufficient for promoting your business. You need to optimize your website for search engines. We apply the well- researched techniques to boost the organic ranking of your site on search engines. Website audit – It helps your agency to find the drawbacks, which prevent your site from being effective in generating new traffic, leads and sales. 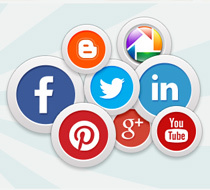 SMO – Make sure your brand receives maximum attention through social media platforms like twitter, LinkedIn, Facebook etc. PPC – Incorporating PPC methods will help you to instantly display your advertisement in the first page of Google search results. You only pay for the campaign when your ad gets clicked. ORM – Nobody can fabricate reviews. Using such service, we display the customer reviews at right places and we ensure that the positive reviews push down the negative reviews. Remarketing – PPC remarketing helps you to display banner advertisements to users who have visited your site. This gives you another opportunity to drive them back your site, so that you can generate optimum leads for sales conversion. People will view your advertisement wherever they go online, and your brand will get the maximum exposure. Web design – We design mobile friendly websites. Presently many people around the world are using their smartphones to access information through on mobile devices. According to the latest survey, approximately sixty-seven percent of the customers prefer to purchase a product from a mobile friendly site and forty-eight percent people find it annoying to visit a non-mobile friendly site. 5 Star Brand listens to your needs and goals through in-depth consultation, which is provided by the company before making any sort of service recommendation. 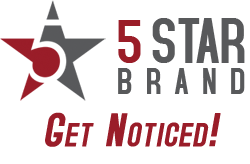 Contact us at 951-821-8659 or shoot a mail to jim@5starBrand.com to schedule your free online marketing consultation.